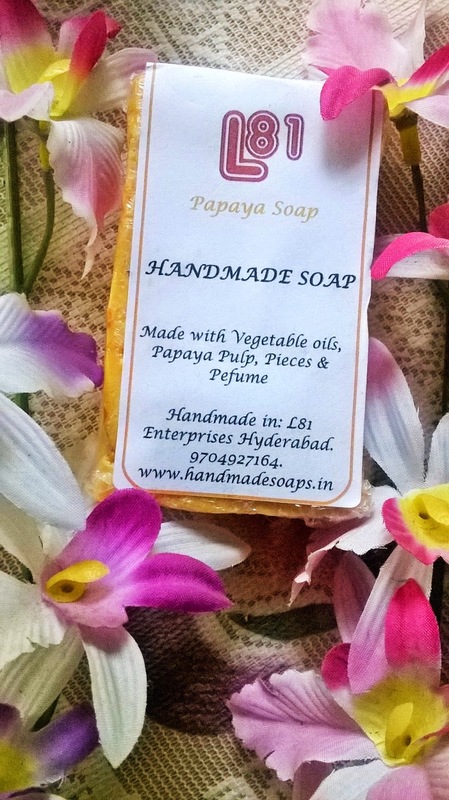 Hello all, I am so fond of handmade soaps that everyday I want to use a new one, with a new fragrance and a novel look. Today I will be talking about L81 Soaps. I have got a few of these recently. 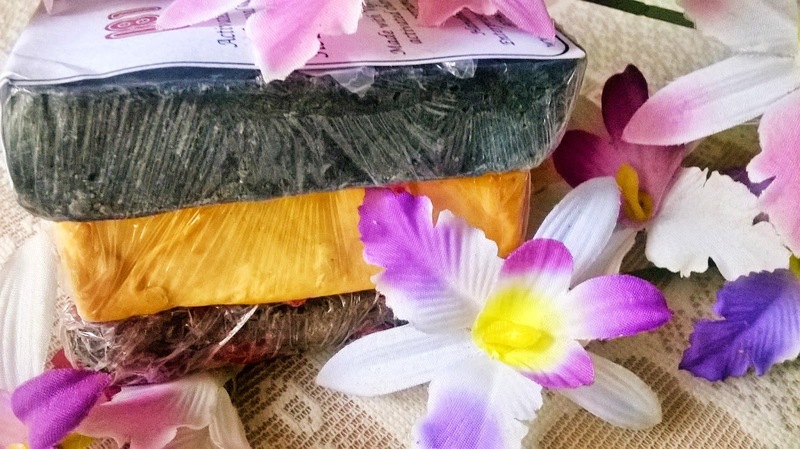 These soaps are handmade in small batches using the Special process method. The formula consists of high quality vegetable oils, rice bran, coconut, olive and sustainably harvested palm, along with shea and cocoa butters. Additionally Real Fruits, Real Flowers, botanicals, clays, skin-safe colorants and hand-blended fragrances are added. 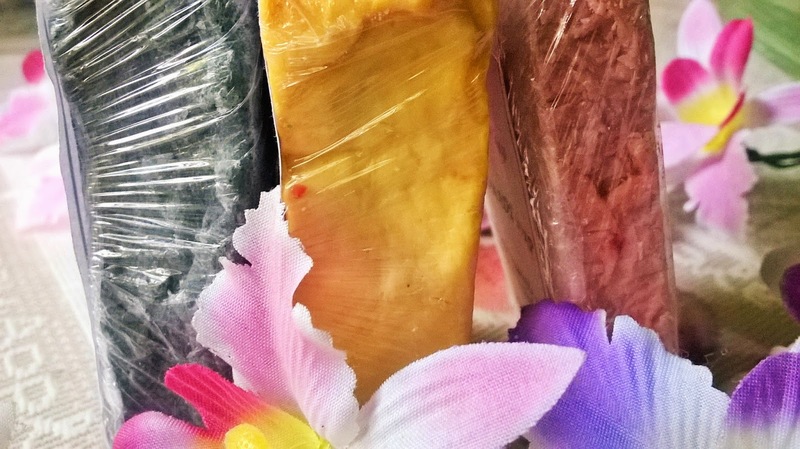 The soaps are cured for three plus weeks to ensure a long-lasting, ultra-mild bar. 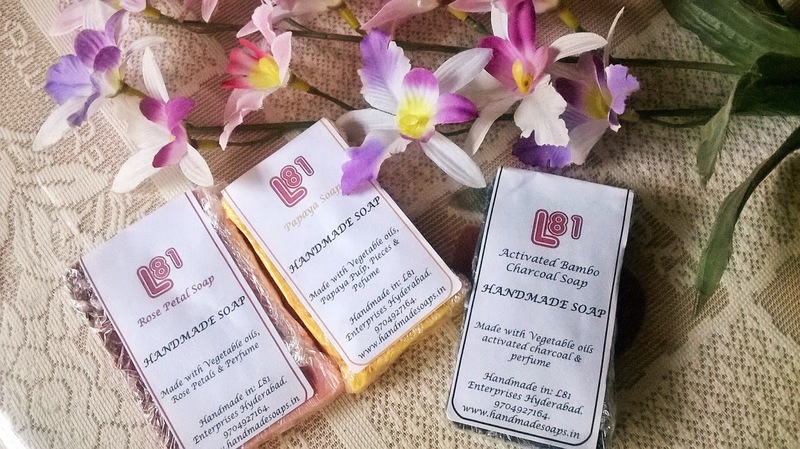 I am proud of my ever-increasing handmade soaps collection and these are the 3 soaps that I will try from L81 Handmade Soaps. 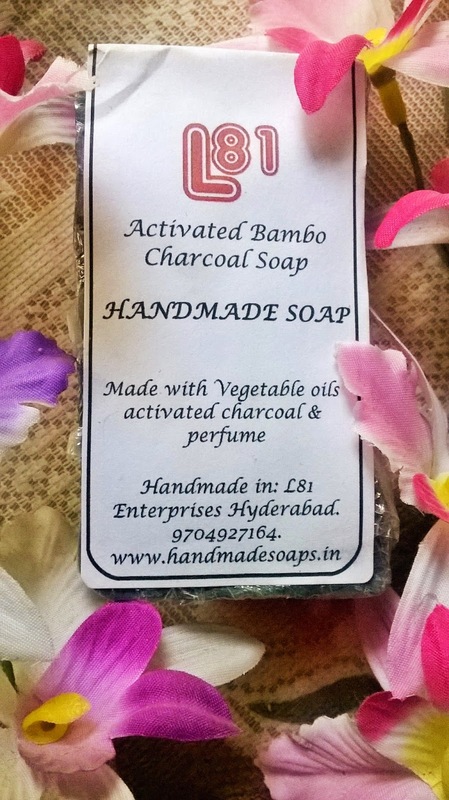 Made with 100% Natural Activated Bamboo Charcoal, Brightens your Skin, Acne Control This Soap has the following Benefits:- Acne Control Unclog pore for younger looking skin Heals Cracked Heels Strong Order Control Vamika recommends to use twice daily!. This bar is made with fresh papaya puree. Papaya contains papain, an enzyme that helps make skin lighter and softer. It works by gradually exfoliating the layers of skin and subduing melanin, revealing the new, softer skin underneath. 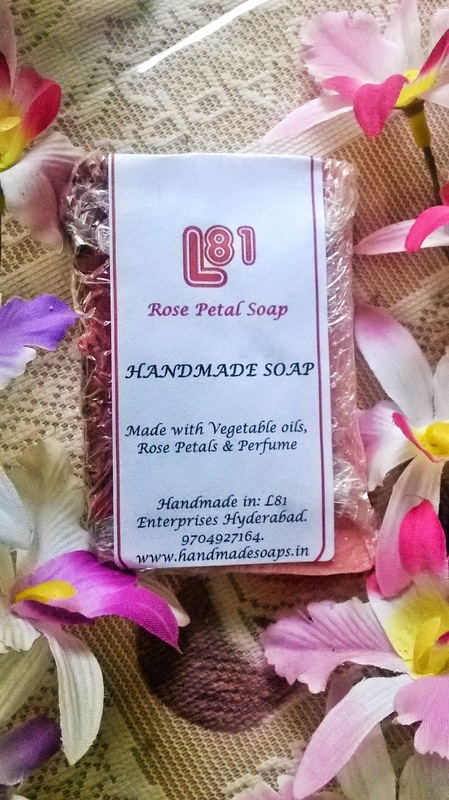 Made with 100% Natural Rose Petals and Rose Oil for fairness and softening the skin Rose flowers has natural qualities to help your skin Premature Aging Acne Scarring Sun Burn Skin Hydration Improves Skin Tones Pigmentation Vamika recommends use Daily for Spa Treatment at home! 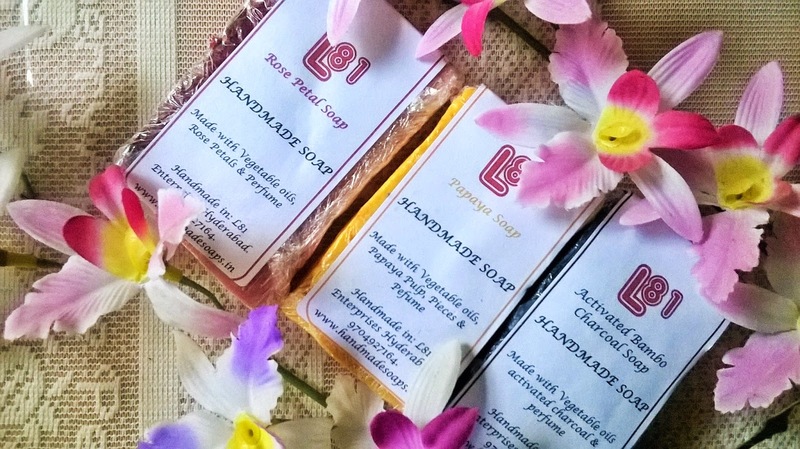 So these are the awesome soaps from L81 Handmade Soaps which I will be reviewing one by one shortly.